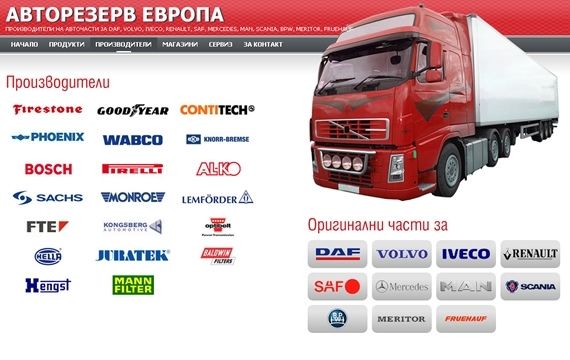 "Avtorezerv Evropa" Ltd. is a company specialized in import and sales of spare parts for trucks, buses and trailers. 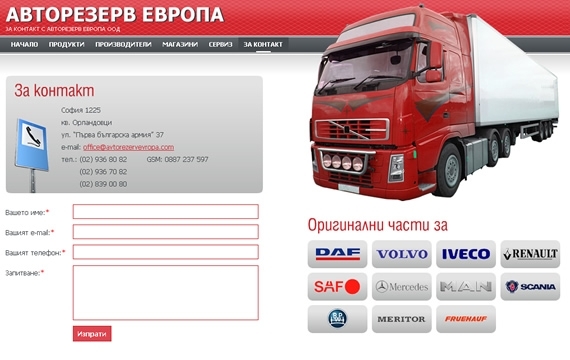 We created a website containing information about the company, the products it offers ans the addresses of its stores. 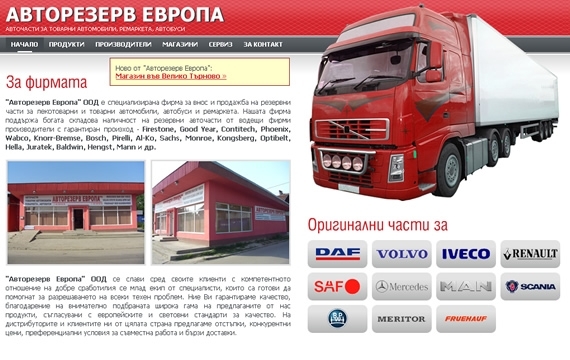 On a following stage of the project we added a new section "Service" which describes a new activity of the company - the opening of "Specialized Recycling and Restoration of Spare Parts Center"